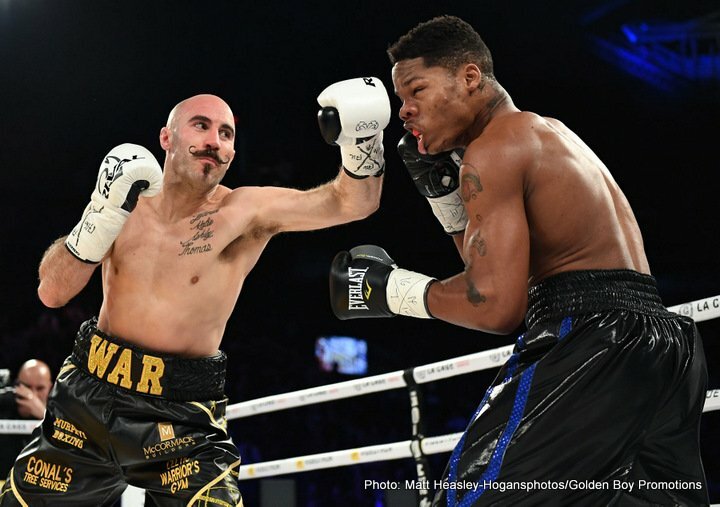 Middleweight contender Gary ‘Spike’ O’Sullivan (27-2, 19 KOs) wore down and stopped Antoine Douglas (22-2-1, 16 KOs) in the 7th round on Saturday night at the Place Bell in Laval, Quebec, Canada. 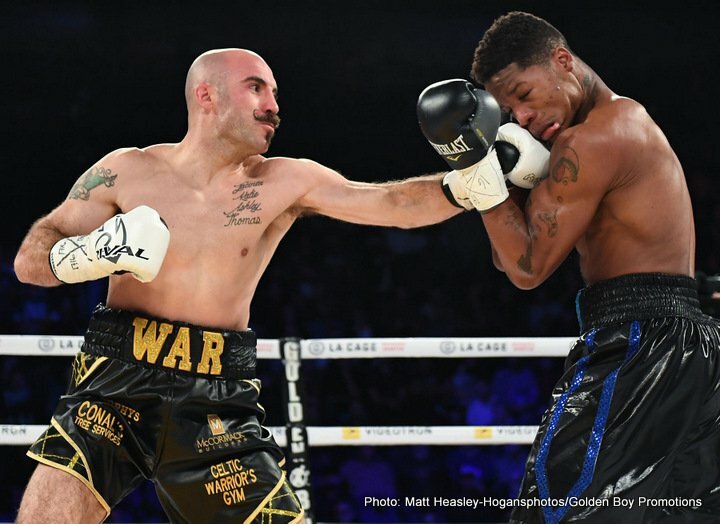 The 33-year-old O’Sullivan caught Douglas against the ropes and unloaded on him until he slid down onto the canvas. After Douglas got back to his feet, referee Steve St-Germain chose to halt the fight. Douglas looked hurt and he would have had problems if the fight had been allowed to continue. 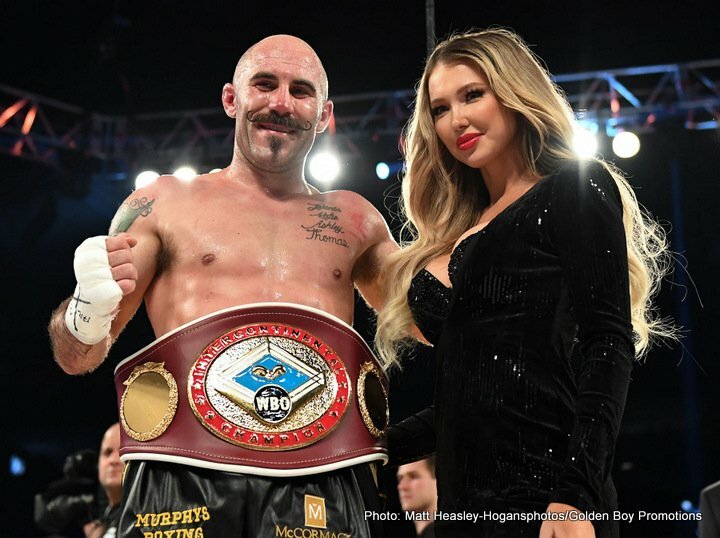 The official time of the stoppage was at 1:03 of round 7.